South Park is an iconic park that is over 100 years old, located in a residential area just south of downtown Billings. During the summer of 2010, the wading pool at South Park was removed due to mounting repair and new regulation compliance costs. Years later, funding was authorized to provide for a splash pad to replace the wading pool facility. The intent was to provide a fun, safe and convenient water play facility for the enjoyment of area neighborhoods and Billing’s residents. 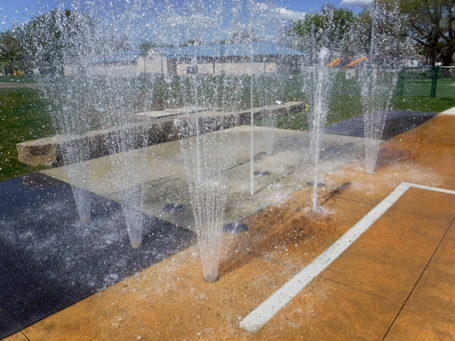 The splash pad includes 55 underground programmable jets powered by foot buttons which allow children to activate some of the jets, pushing water out at a rate comparable to a bathroom shower or a faucet. 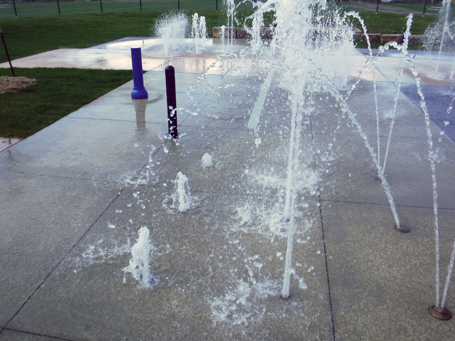 Divided into age-appropriate areas, the splash pad has the right mix of naturalistic and urban attitudes. It is highly interactive and constantly changing. A secret maze on the surface of the splash pad was created by contrasting sealed and unsealed concrete so that paths only appear when wet. A shade structure protects children and caretakers from sun and creates a dynamic focal point within the park. The 1,100 sq. 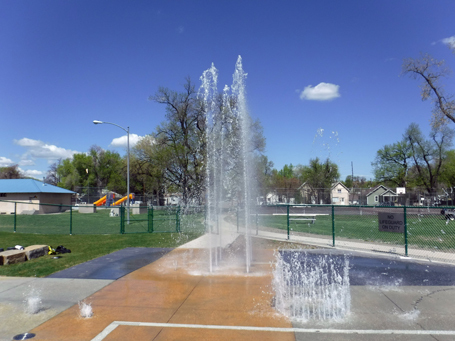 ft. splash pad is the first recirculating splash pad in Billings, including various filtration elements and water treatment systems, such as sand filters and ultraviolet filtration, to recycle the water, resulting in significant water savings.